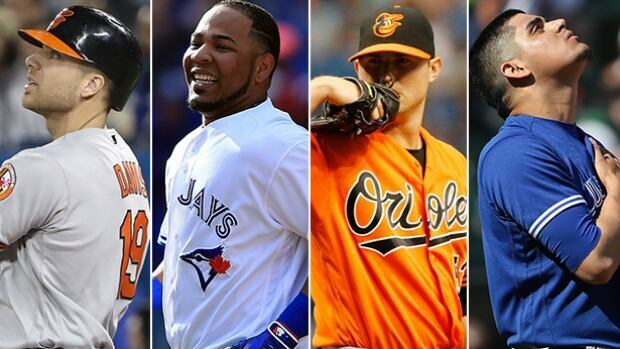 The Baltimore Orioles and the Toronto Blue Jays are preparing for their AL Wild Card showdown tonight inside Toronto’s Rogers Centre in what should be another exciting matchup between the two clubs. These two teams are both in the American League East Division meaning that they have seen each other plenty over the course of the 2016 season. There will be little in the way of surprises tonight in Toronto which could make for a strategical game called by both managers like we haven’t seen before. The game will live and die by the pitching though like it always has in the history of Major League Baseball and tonight’s pitching matchup should not disappoint as the Baltimore Orioles send Chris Tillman to the mound to square off with the Blue Jays starter Marcus Stroman. Tillman will start the AL Wild Card Game for the Orioles with Baltimore's season on the line. Tillman has faced the Blue Jays four times this season already and has posted a 1-0 record with a 3.63 ERA. Stroman is easily the Blue Jays ace and with the season on the line he is the only option for Toronto to start this game tonight despite his struggles against Baltimore this season. Stroman has also made four starts against the Orioles this season and has posted a 1-2 record with a 7.04 ERA in that span, ouch. The game will be played at 8:05 pm ET inside the Rogers Centre and can be seen nationally on TBS. While it’s a shame that the New York Yankees can’t be in it this season the playoffs should still be fun and entertaining for all and that all begins tonight. Enjoy the game everyone.